David Maybury wrote a short piece on Tuesday, about the Beano celebrating 70 years since it first appeared in print. I was not born when it first appeared but the mention brought back memories for me. 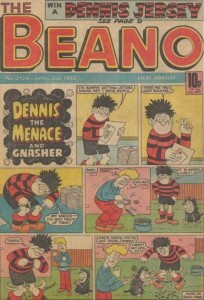 The Beano made many appearances in our household during my childhood. It did not matter who bought it, we all managed to devour the stories in our own time. We did not have a regular order for this comic-cut as we called it, but bought back numbers for one or two old brown pennies. Two strong memories come to mind. 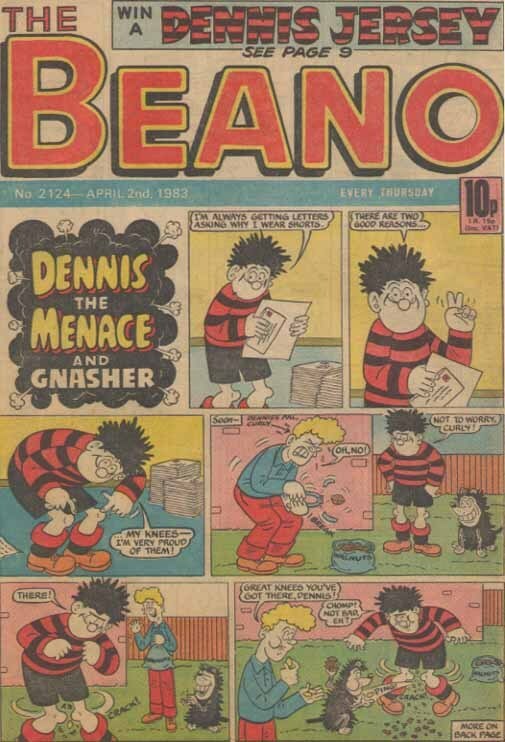 The first was while staying with my Grandmother during the summer school holidays, my brother and I bought a copy of the Beano. We had hardly finished looking at it when my uncle who was unmarried at the time and still living with his mother, asked to read it. He went off to his room with it and we never saw the comic again that night. Next morning we told granny what happened. Once my uncle had gone to work she sent us up to his room to look for it. As we reached the top of the stairs her voice rang out “Don’t be looking at those dirty books!” This remark was always followed by a hearty laugh. My uncle had several stacks of ‘Men Only’ and a few copies lay open on his desk. Naturally we had a peek…. even if we didn’t understand the half of it. The other memory was from a time away from home when I was about eight years old. I was now staying with an aunt and uncle. Again I had bought a copy of the Beano. My aunt asked where I got that rubbish. She confiscated it and handed me a soft leather bound gilt edged book and told me to read that instead. It was a copy of David Copperfield. The pages were as fine as tissue and I found it difficult to separate them. The language was way beyond my comprehension. One of these days I might give David (Copperfield) a second chance…. This entry was posted in memories on July 25, 2008 by Grannymar.